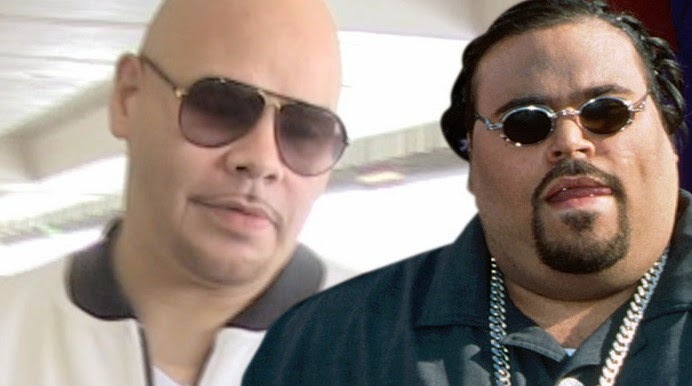 Fat Joe is an immoral cheat who betrayed his protege, Big Pun ... so claims Big Pun's widow who claims Joe has left her out in the cold since her husband's death. Liza Rios is beside herself ... she says in a new lawsuit -- obtained by TMZ -- hubby Big Pun had a deal with Fat Joe to split the fortune Pun made from songs like "I'm Not A Player." Liza says a few years after her 700-pound husband died from a heart attack in 2000 ... Joe turned off the spigot and she hasn't gotten a penny since 2005 ... even though the records continued to sell. It's especially maddening for Liza, because Fat Joe released posthumous albums years after Big Pun died. BTW ... Fat Joe is skinny now.